Are you tired of not living your life to its full potential? If you have aches and pains that limit your movements and take away from your ability to enjoy life, FYZICAL® can help! We are proudly serving the Severn area as your Top Rated Local® physical therapy clinic. 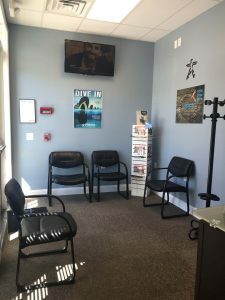 Our team of professional physical therapists has the skills and knowledge to assist you in reaching your optimal health and wellness so that you can live your life the way you desire. 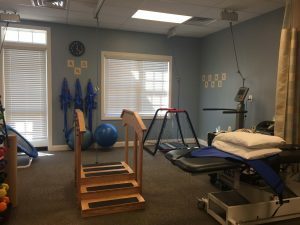 Our professional physical therapists not only want to help relieve your pain, but they also want to aid you in achieving the pinnacle of healthy living. The experts at FYZICAL® are highly-trained and will give you the hands-on therapy that you deserve. They want to give you the power to live your life to its fullest, reduce your pain, ensure your independence, and restore your mobility. When you work with the experts at one of our premier dizziness and balance physical therapy centers, you’re guaranteed to get nothing but the best. Contact FYZYICAL® to schedule an appointment at our Top Rated Local® Severn physical therapy clinic today!